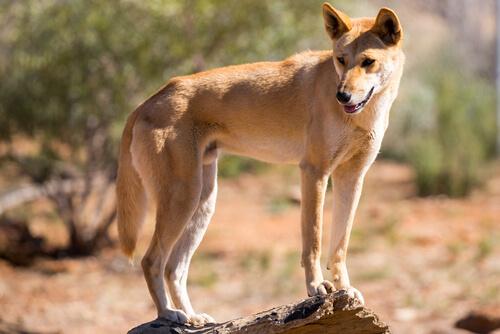 Here are some Australia attractions that everybody should know about and that are so worth a visit when in the country. We fondly remember the times, when we lived in Australia! To give you an idea how beautiful Australia is, see here our top ten places to visit in Australia. Let's start with the capital city! 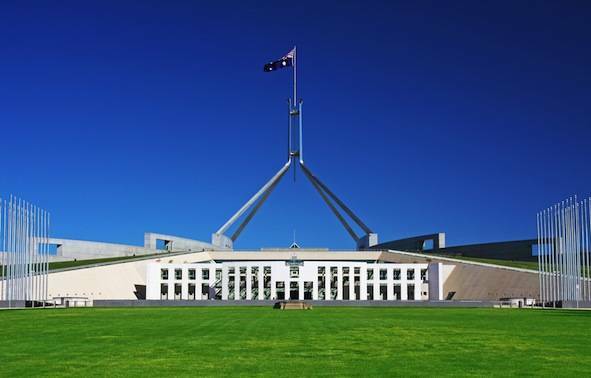 The capital city of Australia, Canberra, is also the country's only major city that does is not situated at the coast. Canberra was established only in 1913 and was completely planned with a chess board-type town structure. 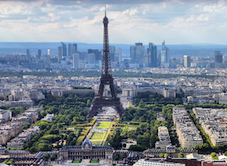 Similar to New York City, the streets run in straight lines from South to North and East to West. Here you see the Australian parliament buildings. Canberra with kids, you might ask? Have a look at the many family activities there are in this city or check out Sharon's guide to Canberra with kids here. Sydney, Australia’s biggest city lies on the eastern coast and is the country’s most populous city. In 2000, Sydney was the host city of the Millenium Olympic Games. 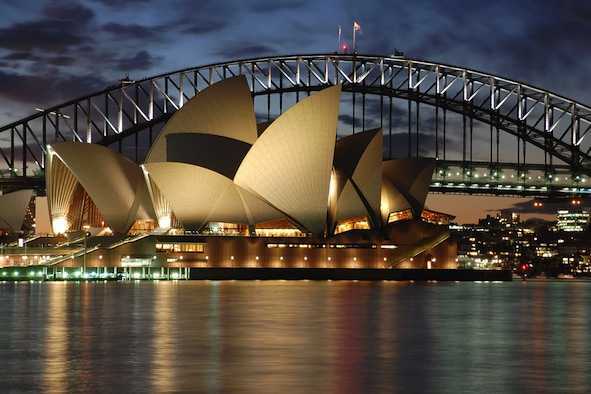 Sydney’s most famous sights are the Harbour Bridge and the Opera House with its iconic architecture. Below see the Opera House at night. Read more about the Sydney Opera House here. Did you know that you have a stunning view of the opera house and the harbour bridge also from the Sydney Botanical Gardens? 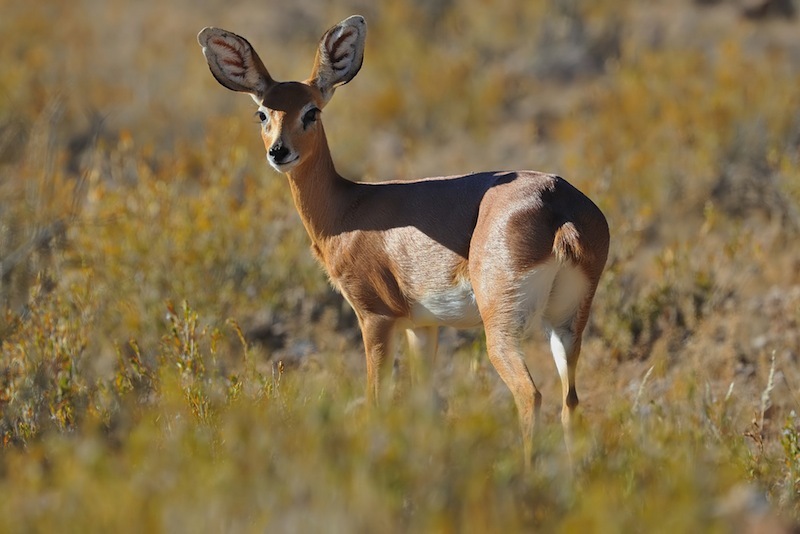 The Royal Botanical gardens offers lots of kids activities as well, have a look here! And do not forget the famous beaches around the city. Surfing is a national sport! We lived in Coogee Beach, with its crescent shaped beach and lovely little coffee shops and pubs, but there is of course world-famous Bondi beach, Manly, Palm Beach...just to name a few. Read more here. 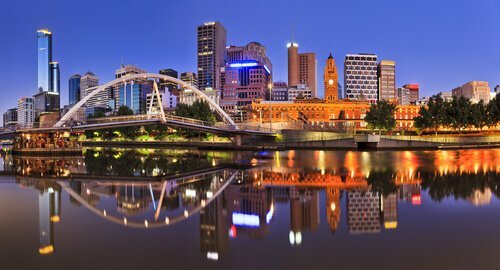 Melbourne is located in southeastern Australia. This is cosmopolitan city and there are many street-side coffee shops and little boutiques. The Yarra river winds its way through the city centre and central business district of the city. The zoo and Queen Victoria Market are among the most loved attractions in the city. At the coast and on nearby Philip Island you can watch penguins parading on the beach. Whales can be seen from September to November off the coast near Perth. 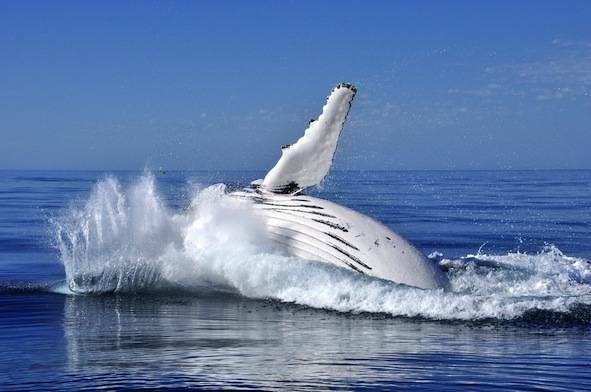 Further down the south-western coast, whale watching is possible between June and September. Australia attractions: The biggest city in Western Australia, Perth, is home to many immigrants from Asia and South Africa and in the city you can taste food from all over the world! The relaxed city and the many beaches along the West Coast attract many holiday makers. The Scitech Discovery Centre in Perth houses the biggest planetarium in Australia! And nearby Fremantle is so worth a visit for its historical sights such as the Roundhouse, the Fremantle Prison and the many museums including the shipwreck museum. Besides there are wonderful coffee shops when one can relax and munch on sweet treats after a walk around town! Ayers Rock, or Uluru as the Aboriginies call this massive rock formation, is in the centre of Australia. This place in the outback is far from any city, which means long travel times to reach the stunning landmark. The nearest town is Alice Springs, roughly 450 km/280 miles away! 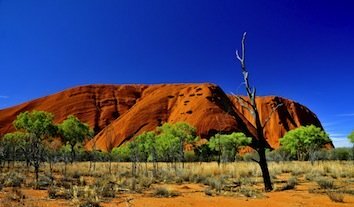 Uluru, the island-mountain rock formation is a holy place to the Anangu, the Aborigine people living in the area. They ask visitors to respect their culture and not to step or climb on their holy mountain. Darwin, situated in the Northern Territory, is a town with a real outback feeling - Crocodile Dundee feeling! 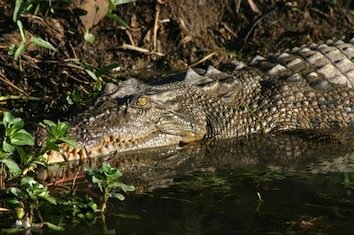 Nearby Kakadu National Park with its wide variety of wildlife is a World Heritage Site and one of the major Australia attractions. There are various Aboriginal traditional tribes still living in this part of Australia and the rock art is a must see when in the area. Read more about the Aboriginal culture and traditions in Kakadu National Park here. Tasmania is an island in the southeast of Australia and the country's smallest province. The main city on the island is Hobart. Tasmania is a great place for its nature walks, hiking and biking are popular activities here. 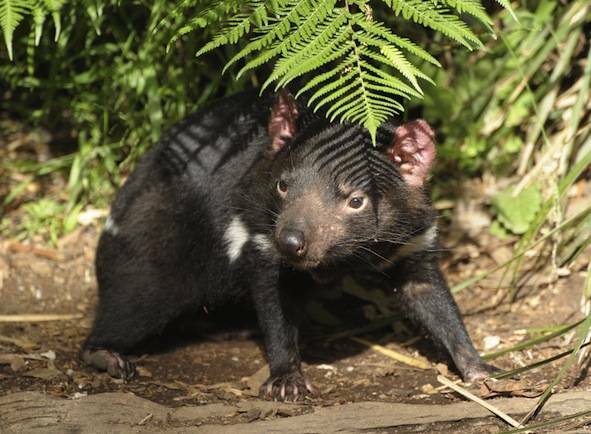 If you are very lucky, you might also see the 'Tasmanian Devil', a small night-active mammal. 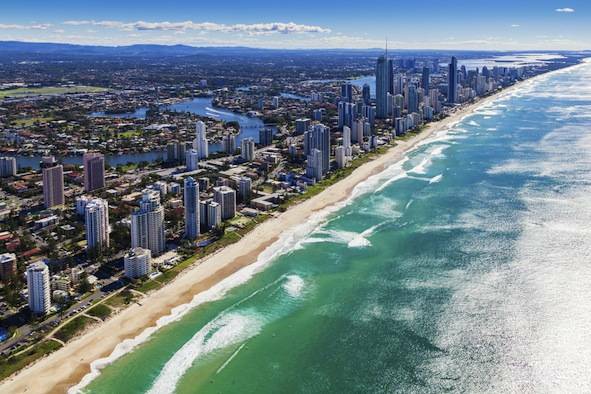 Another one of the main Australia attractions is the Gold Coast. The Gold coast is the eastern coastline with Brisbane as the main tourism centre. Brisbane has many resorts and offers lots of fun activities for an exciting beach holiday. Watersports such as surfing and sailing are very popular or you can just relax and enjoy your Australian holiday at one of the most stunning white beaches. The Great Barrier Reef, in Queensland, is one of the most pristine marine areas in the world and houses the world’s biggest coral reef. The Great Barrier Reef is known for its colourful sea life, so snorkelling and diving trips are a must when visiting this region. 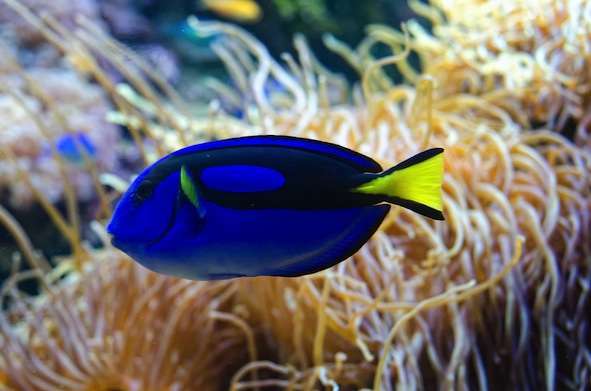 You can spot a wide variety of tropical fishes in all colours in clear waters even close to the beach. Cairns is a popular beach resort town on the north-eastern coastline. This city has many great hotels to stay in and a day trip on the scenic Kuranda rainforest railway is such fun, especially with kids. Read more about Kuranda here. Have you ever thought that you could go skiing in Australia? 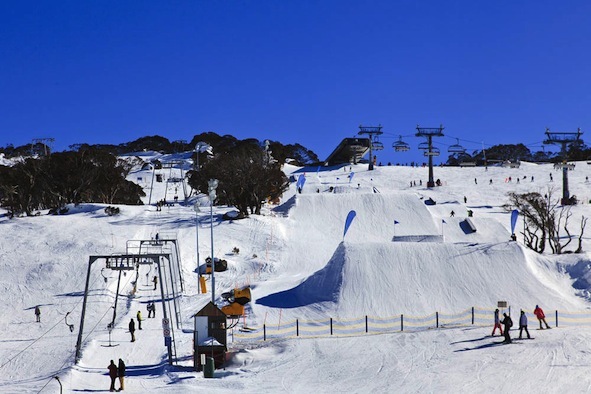 The area around Mt Kosciuszko is known as Australia’s winter sports region, with numerous slopes attracting skiers and snowboarders. In summer you can also hike up the mountains and if you are lucky also can see or even touch some snow on the highest mountain peaks. Well, remember that 'downunder', the winter season is from June to August. From Australia’s highest peak, Mount Kosciuszko, you have great views over the outback landscape even in summer! We hiked up the mountain in December and spent a lovely quite Christmas in the area! Disclaimer: We have lived in Sydney, and visited Australia several times thereafter, and love this country. 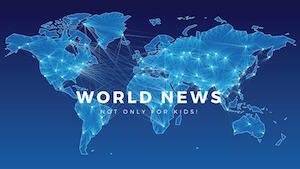 Just please note: Our Educational Consultancy, including KidsWorldTravels, which takes care of our travel guide, is located in Cape Town/South Africa and not related or affiliated with any Australian business venture using our name. 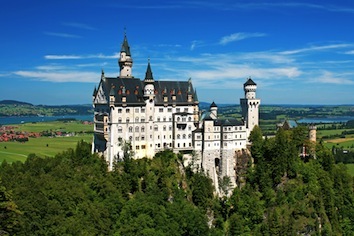 Follow Kids World Travel Guide's board Australia for Kids on Pinterest.